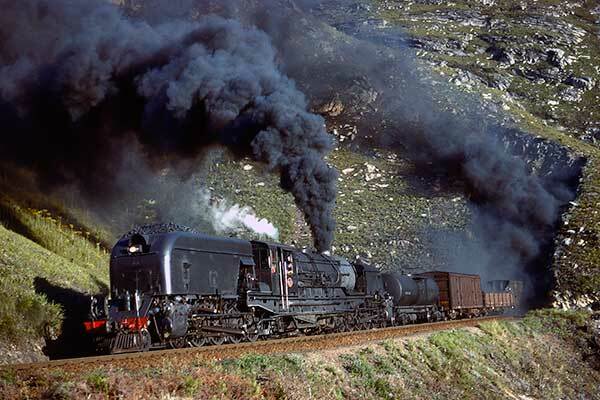 Caption - South African Railways (SAR) GMAM class Garratt 4129 is approaching the last half mile to the summit of the Montagu Pass in the Outeniqua Mountains near George with a Mosselbaai to Oudtshoorn goods train. By this stage of the climb the loco was down to walking pace with the mechanical stoked steadily feeding coal into the massive grate. Image taken on 17th October 1979.